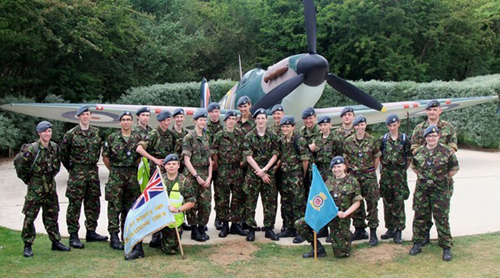 In the Air Cadets, there are a wide variety of camps available to cadets. Every year cadets get to attend camps across the UK, including staying at active RAF stations, with a wide range of activities on offer while on camp. While on camps you could be doing anything from visiting the RAF Squadrons on base and getting up close to current aircraft, visits to units on station, such as the fire section or RAF regiment. You'll also take part in visit to local attractions, as well as a number of activities like swimming and bowling. Each year cadets can also attend a greens camp held during the Easter holidays, usually take place at an Army barracks and training area, where the cadets take part in fieldcraft and adventure training activities throughout the week. The camp also includes an exercise, involving the cadets to cook and sleeping out overnight, using skills learnt during the week. 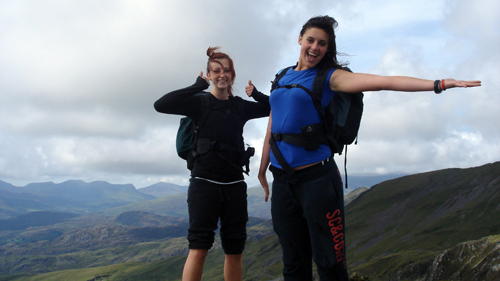 You could also go on one of the adventure training camps run every year at Llanbedr, Wales and Windermere in the Lake District. The Squadron also offer our own camps and weekends away during the year, such as fieldcraft weekends learning how to cook ration packs and building shelters, or a weekend staying at one of the local RAF Stations. Why not join us for the Folkestone cadet march, spending the weekend camping out for the weekend, and working as a team to walk the 16 mile route through the hills surrounding Folkestone. There is the opportunity each year for a number of cadets to attend camps overseas, visiting UK military bases, where cadets can experience local culture, and a wide range of activities and local visits. In recent years, cadets from Sandy have attended camps in Germany, Gibraltar and Cyprus.